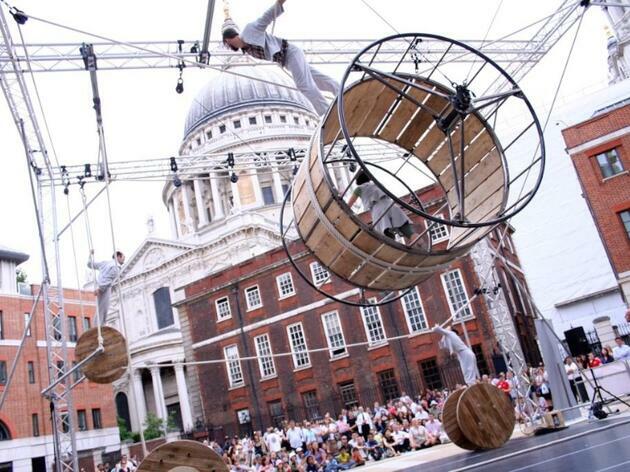 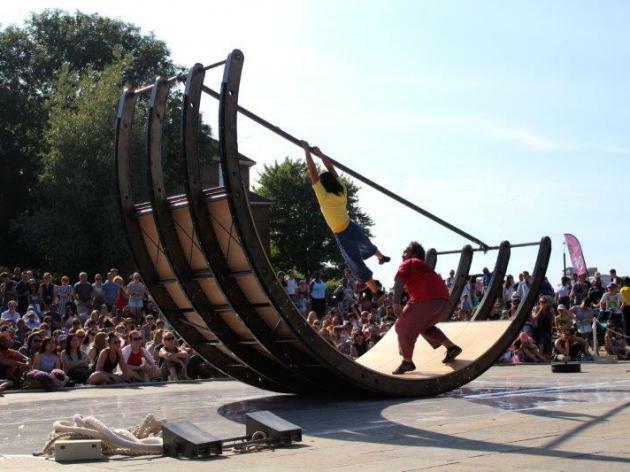 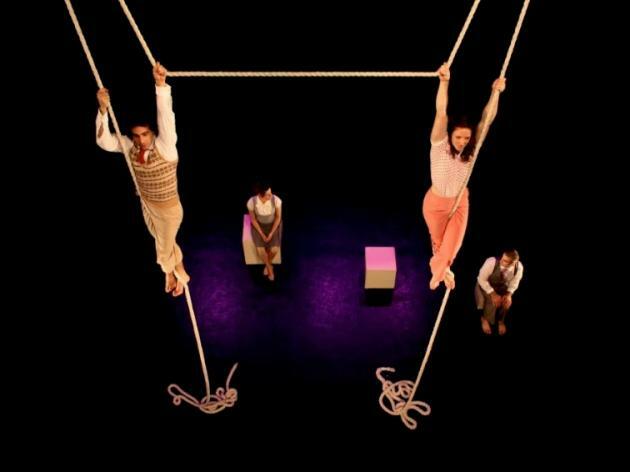 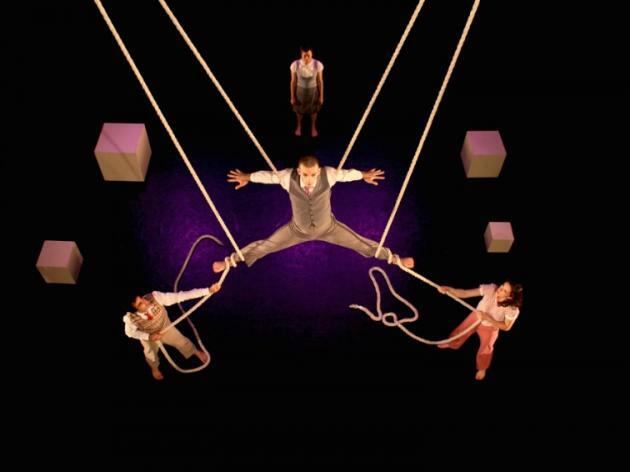 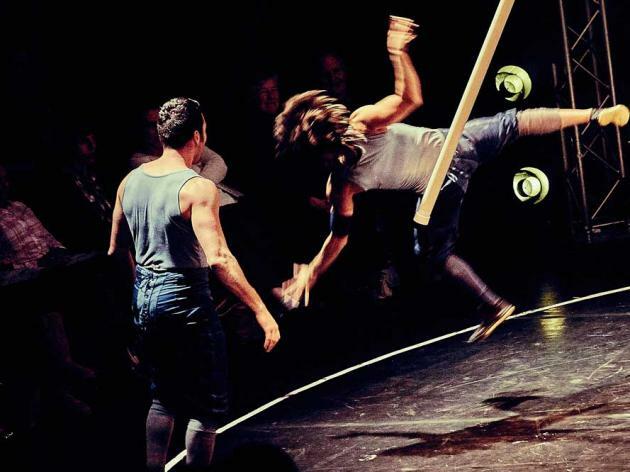 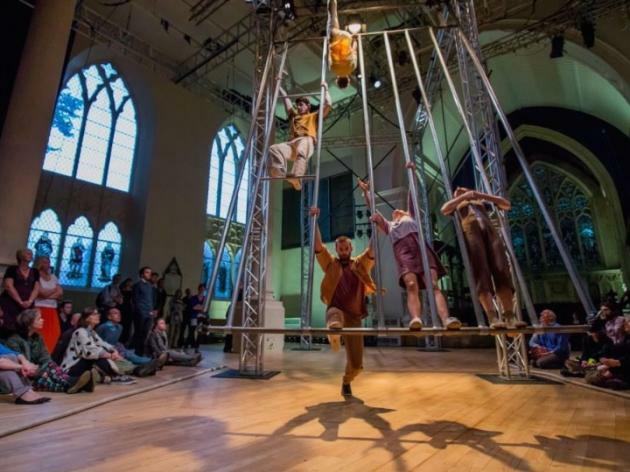 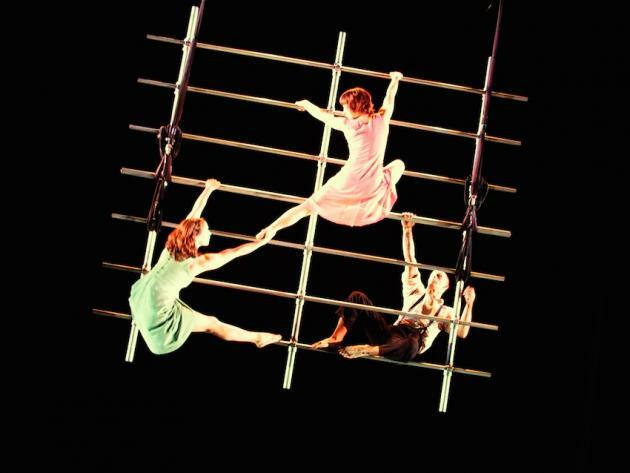 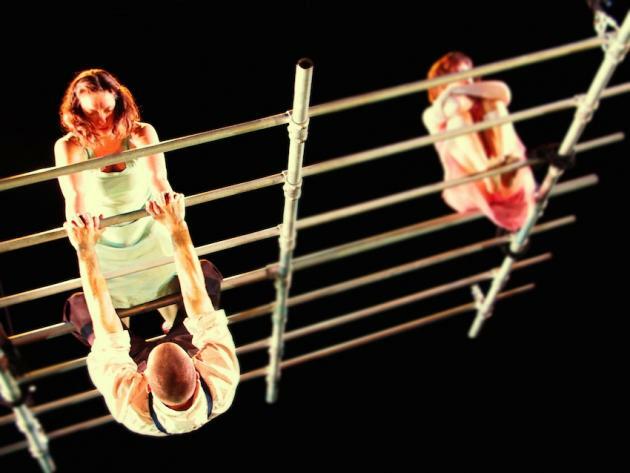 OCKHAM'S RAZOR, PRODUCED BY TURTLE KEY ARTS, IS AN AERIAL THEATRE COMPANY WHO COMBINE CIRCUS AND VISUAL THEATRE TO MAKE WORK THAT IS ARRESTING AND ENTERTAINING. 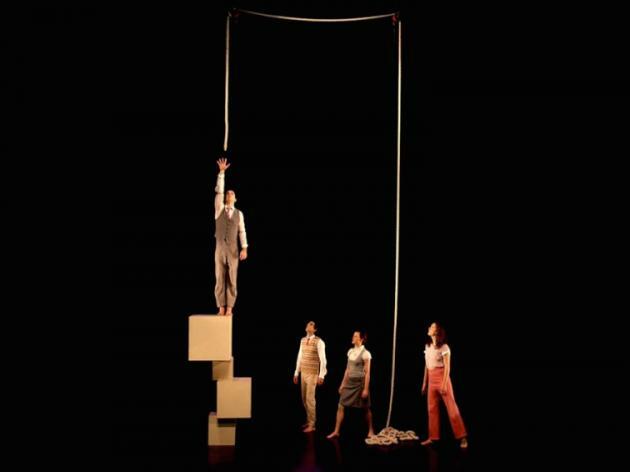 THEY SPECIALISE IN CREATING PHYSICAL THEATRE ON ORIGINAL PIECES OF AERIAL EQUIPMENT AND CREATE STORIES FROM THE VULNERABILITY, TRUST AND RELIANCE THAT EXIST BETWEEN PEOPLE IN THE AIR. 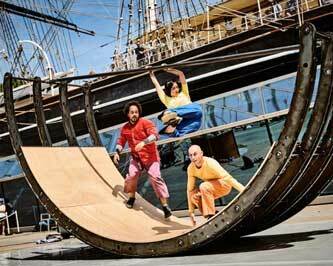 They currently have two shows touring. 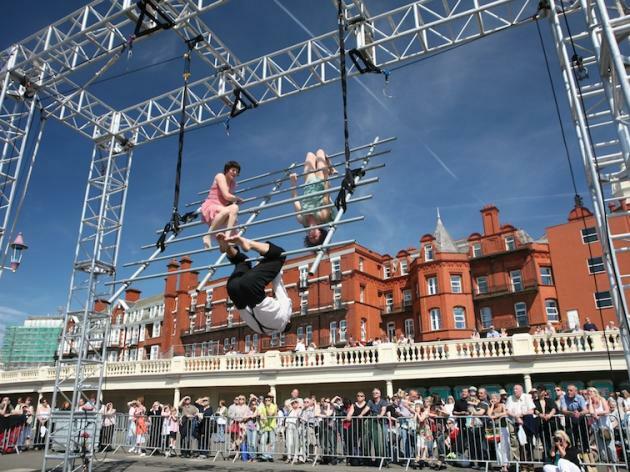 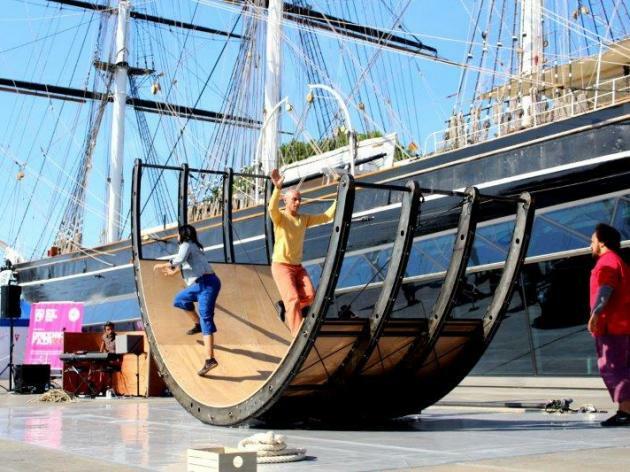 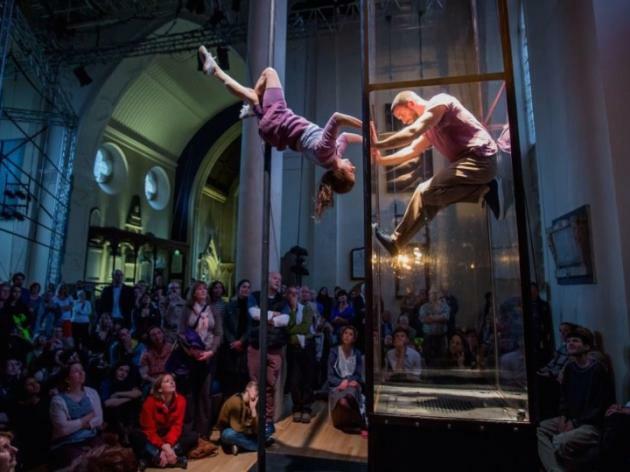 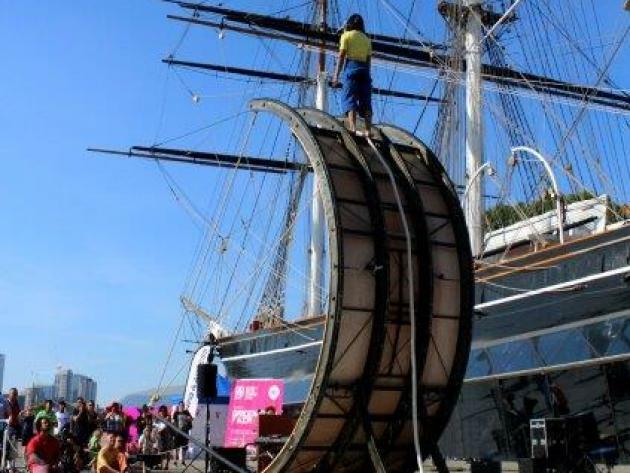 Tipping Point which won the Total Theatre & Jacksons Lane Award for Circus and Belly of the Whale, a new out-door show which premiered in May 2018. 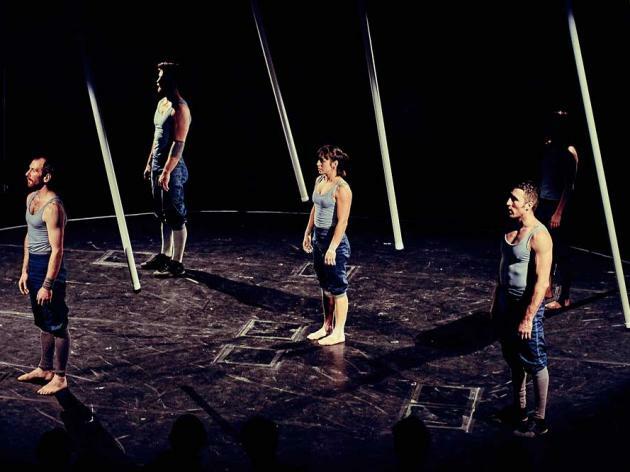 They will also premiere a new theatre show This Time in May 2019. 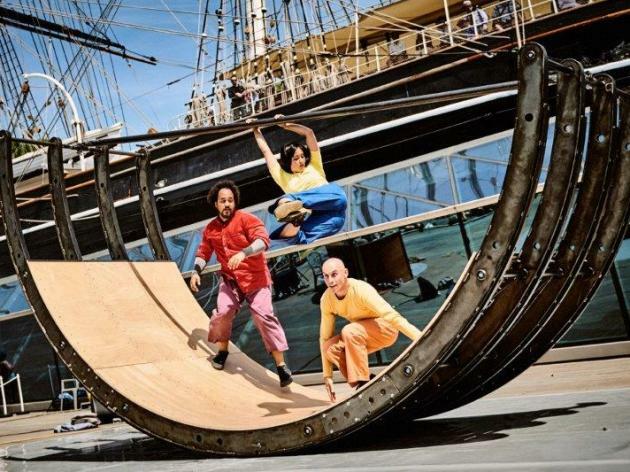 CLICK HERE FOR TOUR DATES. 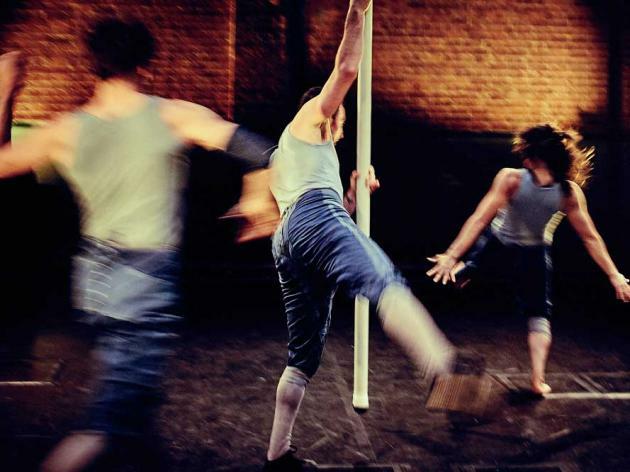 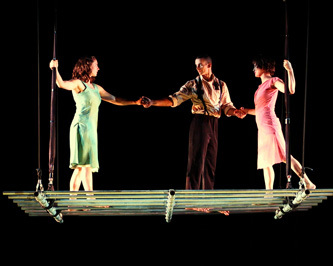 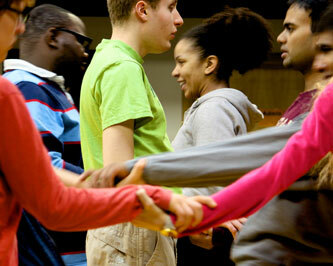 The Company was formed in 2004 when the three artistic directors; Alex Harvey, Charlotte Mooney and Tina Koch met while studying at Circomedia, Bristol. 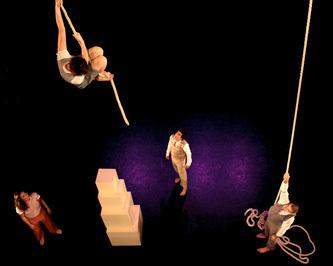 Ockham's Razor has been produced by Turtle Key Arts since 2006. 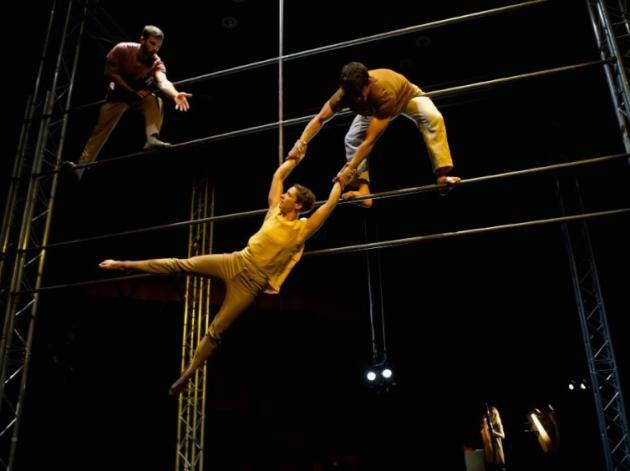 In 2006 they premiered their first full evening programme, a triple bill of Arc, Memento Mori and Every Action, to sell-out audiences at the Royal Opera House as part of the London International Mime Festival. 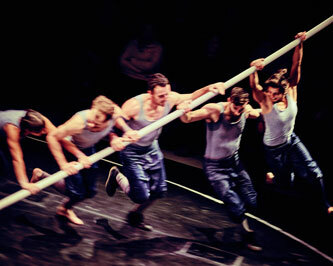 Since then they have created The Mill (2010), Not Until We Are Lost (2012) Tipping Point (2015) and Belly of the Whale (2018) and performed in theatres and festivals throughout the U.K, Europe, America and Australia and have established a reputation for innovative and ground-breaking performances. 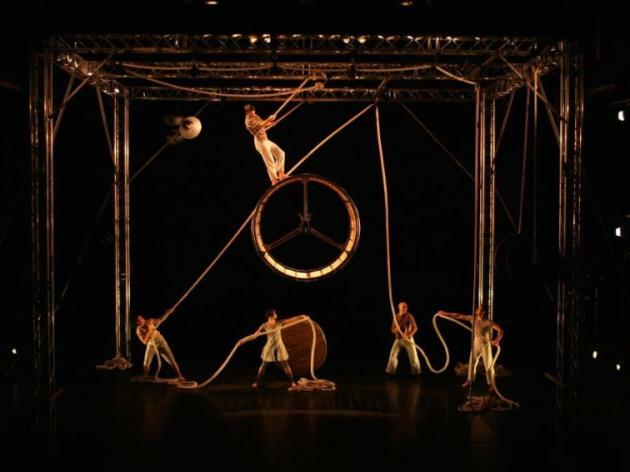 The name Ockham's Razor comes from a logical principle attributed to the medieval philosopher William of Ockham. 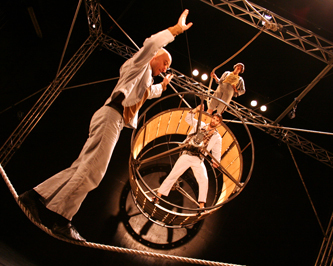 It states that between two plausible theories, the simpler is preferable. 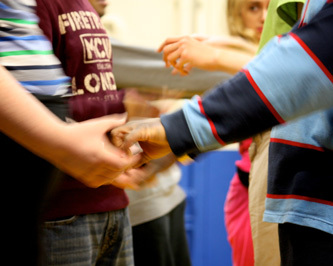 As a company they work with this simple approach. 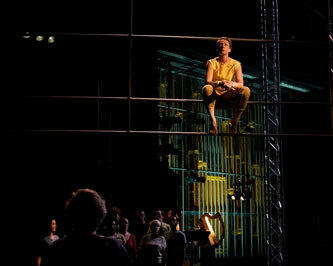 Images by Nik Mackey, Graham McGrath, Mark Dawson, Paul Blakemore and Daisy Dawson.